Enjoy a wide range of Dog-Friendly and affordable Pet Friendly lodging in Vermont. Vermont is scenic, four-season playland and you and you’re pet will love the Pet-Friendly VT accommodations now available. Explore our suggested VT pet friendly inns, resorts, and lodges. 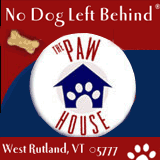 Check out the VT inns near downtown Rutland that absolutely caters to pets and pet owners. Shop the Manchester Designer Outlets and hike Mt Equinox – you’ll find wonderful pet friendly rooms and suites at the Manchester View resort hotel. Read about all of our suggested VT Pet Friendly Lodging venues below. Bromley View Inn is southern Vermont Pet Friendly Inn and Ski Lodge located between Manchester, Bromley Mountain Resort and Stratton Mountain Resort. Plan a hassle-free Vermont staycation with the family and enjoy a daily in-room movie, complimentary kids breakfast buffet, pool access, late check-out and more. Bring your pet along to this Burlington VT Pet Friendly Hotel. 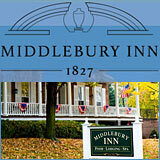 Complimentary Afternoon Tea, Breakfast, Lunch and Dinner in Morgan's Tavern, Full Bar featuring Local Vermont Wines and Beers, Free passes to Middlebury Fitness, Complimentary Wireless Internet, Cable HDTV, Business Center, Morning Coffee in the Lobby, Safe Depost Box at Front Desk, Free Parking, Accessible Rooms and Pet Friendly Rooms. 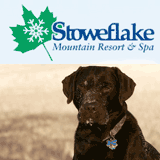 Stowe Area Pet Friendly Lodging is fantastic at Stoweflake Resort and Spa. Enjoy our world-class spa, state-of-the-art fitness facilities, two award-winning restaurants and luxurious accommodations. Your dog will have a great time on extensive dog trails located on our 60 acres of wide-open space. 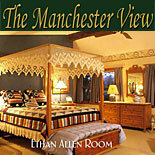 The Manchester View in Manchester offers southern VT's best AAA pet friendly accommodations. 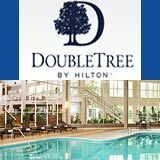 This fine lodging property combines the best of a classic Vermont country inn, motel or even a small hotel, with large rooms and suites, beautiful views and a very convenient location, minutes to Manchester Outlet Shopping, Stratton Mountain Resort, Hildene Estate, golfing, hiking, shopping. A scenic VT farm where we raise registered heritage breed sheep. 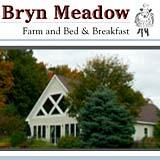 A relaxing pet friendly Vermont Bed and Breakfast – Enjoy a memorable stay at our VT countryside bed and breakfast. First class, tail proofed accommodations are lovingly designed for human and canine comfort. On site Dog Care Facility. Bring your pet with you to enjoy the beautiful Stowe - Morrisville area of Vermont. Clean, affordable pet friendly accommodations. Free Wifi. Outdoor Pool. Walking Paths. Vermont's Most Romantic and Most Dog-Friendly Bed & Breakfast Romantic Vacations, Pet-Friendly Lodging, and Luxury Getaways at the Base of Vermont's Jay Peak. VT Living offers direct links to Dog-Friendly Vermont Lodging. Vermont Living Magazine presents the very best VT Pet Friendly rooms, Bed & Breakfast Inns, Motels, Motor Lodges, Hotel Suites and Resorts that will not only accept but welcome you and your pet. 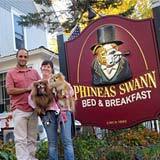 Compare VT Pet Friendly Lodging rates and find room specials. Read Trip Advisor reviews, lodging availability, ratings, and reservations..
Burlington – Vermont’s largest city, offers several lodging selections when it comes to Vermont pet friendly lodging. Use the Bring My Pet guide to locate Vermont pet friendly lodging. Find excellent accommodations that allow pets, are dog friendly and cat friendly, or cater to pet vacations. Visit selected VT Pet Friendly Hotels to reserve the perfect lodging for you and your pet. Stowe Vermont offers plenty of pet friendly walking paths and hikes. The Trapp Family Lodge, Stoweflake Mountain Resort, Topnotch and other Stowe area lodging facilities welcome pets and/or offer pet friendly rooms and suites. 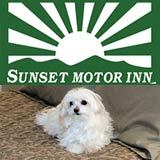 We more sensational lodging at nearby Stowe – Morrisville area motor inns. Vermont is a fine place to live and to visit with your pet. The Green Mountain State has received several awards from “Best Overall Standard of Living in the United States”, to the “Best Air Quality in America” and is home to the late dog artist Stephen Hunek’s Dog Chapel. Visit Vermont Living Magazine for more Vermont Pet Friendly Lodging recommendations.